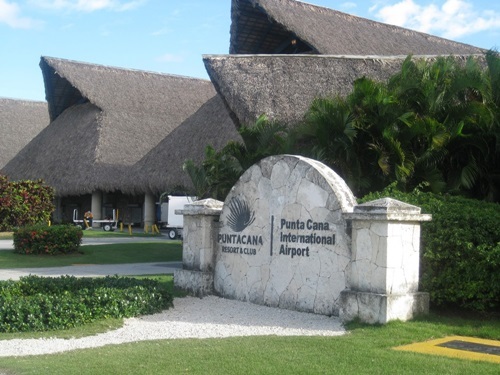 Most Punta Cana region resort accommodations include pre-arranged ground transportation to and from the airport. After getting their luggage and clearing customs, passengers are normally greeted by their tour company representative and directed to board the correct bus for transfer to their resort. The greeting area is to the right as you depart the customs. Resort representatives will have hotel name on a sign. If nobody greets you or you don’t see anyone with your hotel sign, check with one of the counters. In case you are not staying in one of the hotels, you can also choose from number of private taxis and shuttles that will be available upon arrival. All taxis operate with standard rates and most drivers should have a copy of these. In any case as anywhere in Latin America clarify the destination and the price before you get in the car. There are also rental car agencies at the Punta Cana airport. They include Avis, Hertz and Dollar. It is definitely a good idea to book a rental car before your arrival.